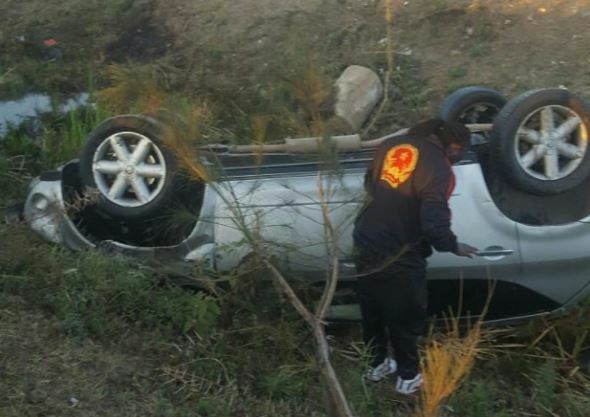 On Sunday morning, rapper Colonel Mustafa and two of his friends were involved in a road accident along Mombasa Road. The accident happened when the rapper and his friends were heading back home after a night out at Club i7. 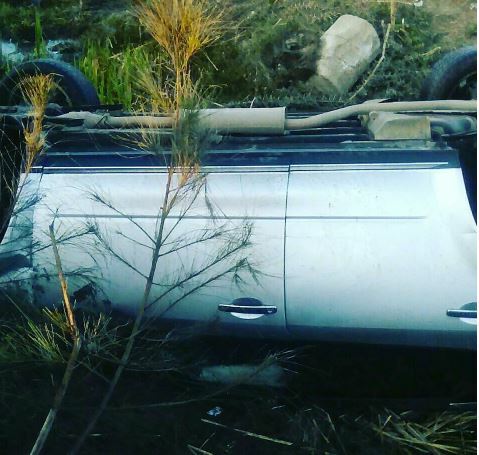 The Saloon car they were travelling in rolled twice before landing in a ditch near Naivas Supermarket. According to sources, Mustafa was under the influence when the accident occurred. 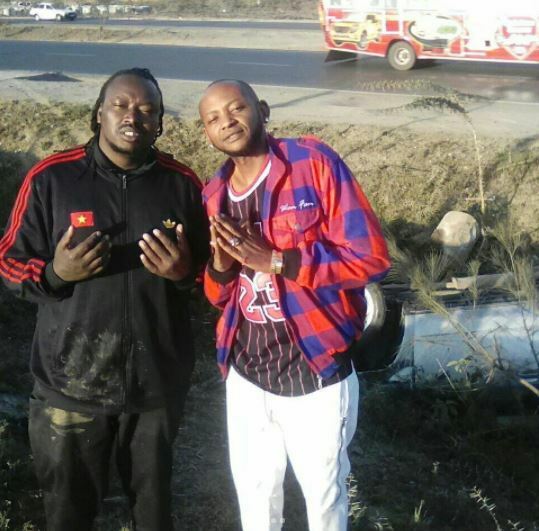 However, the controversial ‘Loboko’ rapper has denied the claims saying people are out to tarnish his name. 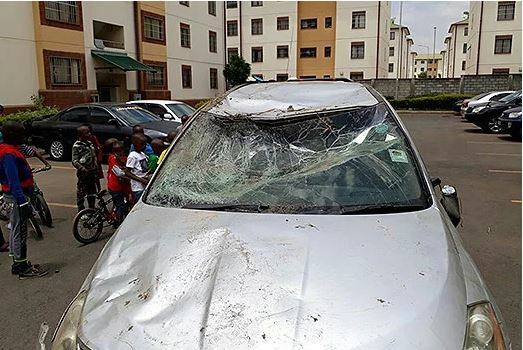 Mustafa, who is currently recuperating at home after being discharged from Nairobi Hospital, blamed the accident on a dilapidated section of the road. “Wanataka kunimaliza? Sikuwa mlevi. Tukio hawalielewi. Ilikuwa noma ila nashukuru kuwa hai, ni bahati sana. Lakini nina maumivu makali ya shingoni na mikono,” said Mustafa. The three survived the ordeal without any serious injuries.